Do you dare to be a little fabulous? Let this Little Miss show you how it's done! 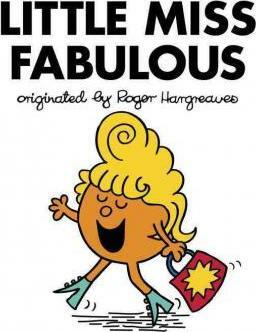 Little Miss Fabulous has the most fabulous hair, which she wears in the most fabulous styles. Everywhere she goes, she sets new fashion trends! Not even the envious Little Miss Splendid can rain on her parade. Little Miss Fabulous proves that having good style is all about confidence--and just a bit of creativity!